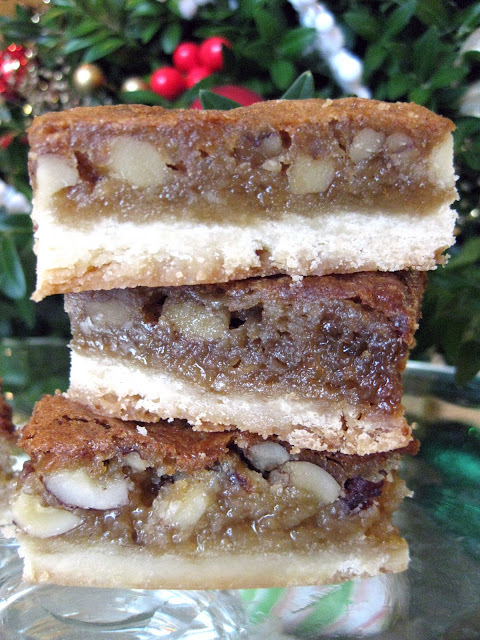 These butter tart squares are a delicious bar cookie with a shortbread crust. When I served these, I described them as "Canadian Butter Tart Squares." A few friends eyed them suspiciously and asked me what, in particular, makes them Canadian. Worry not: You won't see "Canadian" listed among the ingredients. You can think of butter tart as the Canadian version of pecan pie. Traditionally, walnuts (sometimes along with raisins) are used instead of pecans, but otherwise the two pies are close cousins. No Canadians were harmed in the making of these Canadian butter tart squares. This little butter tart bar recipe puts the butter tart into bar form, which makes it easier to share with a crowd or grab on the go. Goodbye pie crust, hello shortbread base. I found a recipe via Joy of Baking that produced butter tart squares with commendable qualities: flaky base, gooey inside, and buttery, caramel-y flavor. I omitted raisins completely, and used chopped hazelnuts in one batch and chopped walnuts in the others. Butter tart squares, a delicious treat. One note: I had to bake the butter tart bars longer than expected before the center seemed set. They may have turned out fine even if I had only baked them for the recipe-appointed interval. I will never know. Canadians, lovers of Canadian culture, and the remaining adventurous bakers who try this recipe will have to use their best judgement. 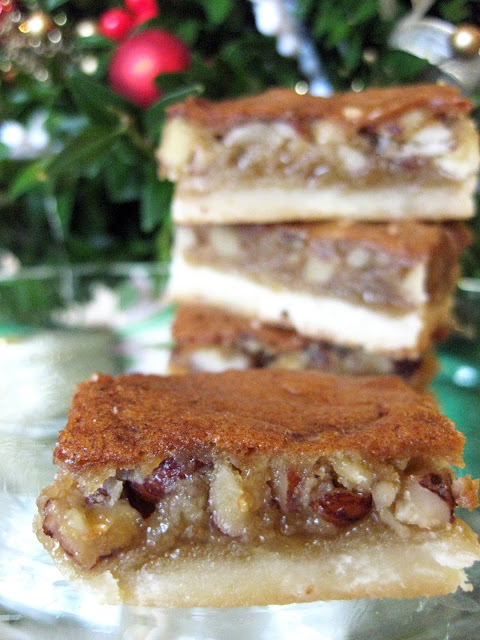 "No Canadians were harmed in the making of these Canadian butter tart squares." This is sooo funny. Thank you for the laugh.